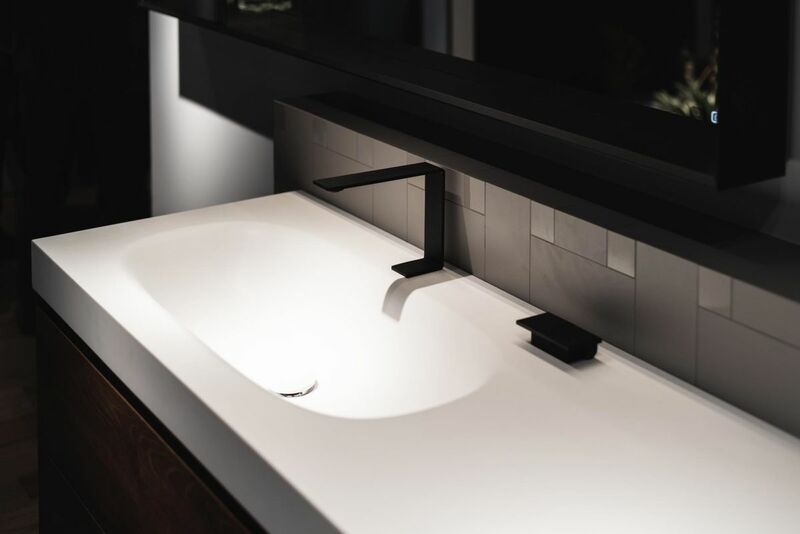 Today I want to demonstrate that for a “design bathroom” you don’t have to choose a tabletop basin, but the solutions are many more and very interesting. 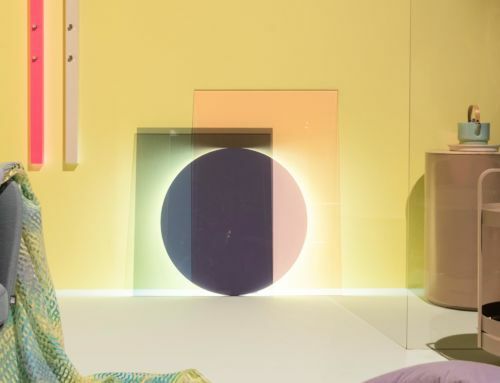 I’ll take inspiration from the vary composition exhibited at Ideagroup and ISH 2019, to demonstrate that the possibilities are many more than the ones the we imagine. 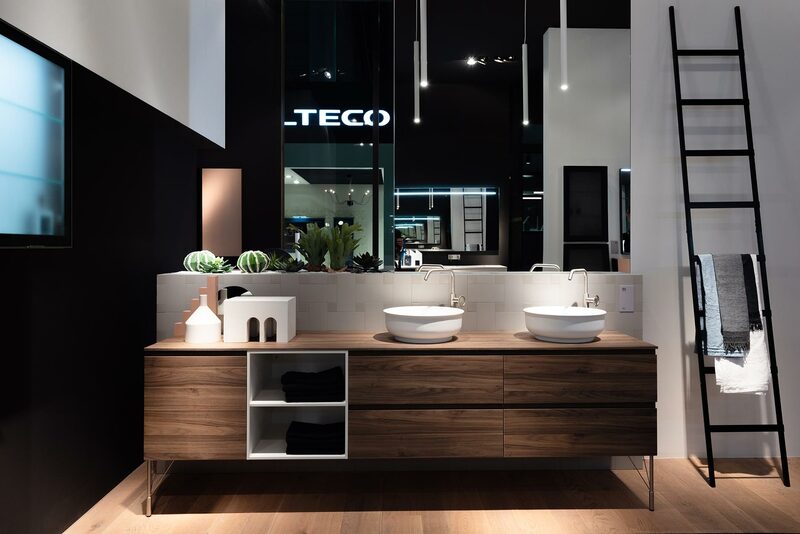 Dolcevita is the collection made by Ideagroup, dedicated to the modern and refined bathroom. 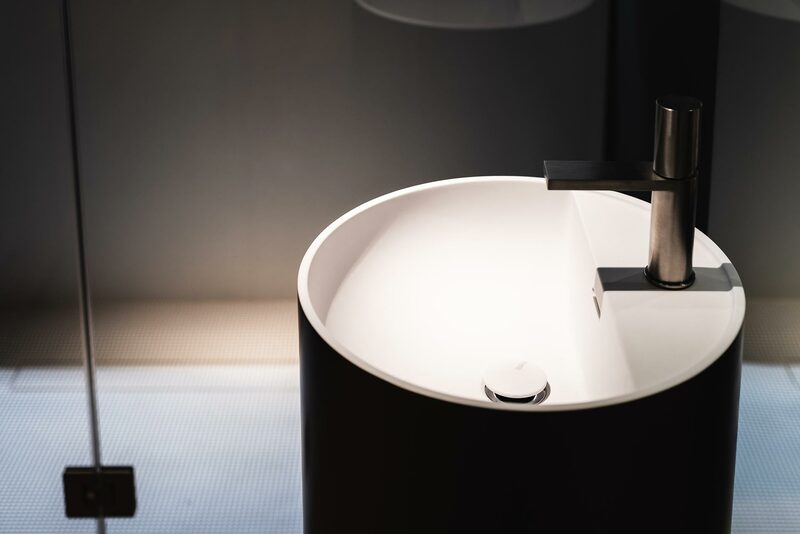 The company suggests the drop-in basin Cameo, a ceramic basin with a soft and comfortable shape. 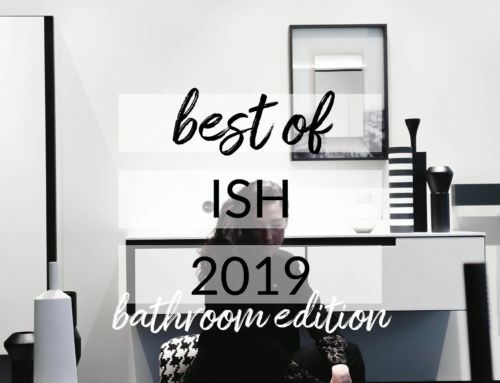 Dolcevita was one of my best of ISH 2019: Have a look! 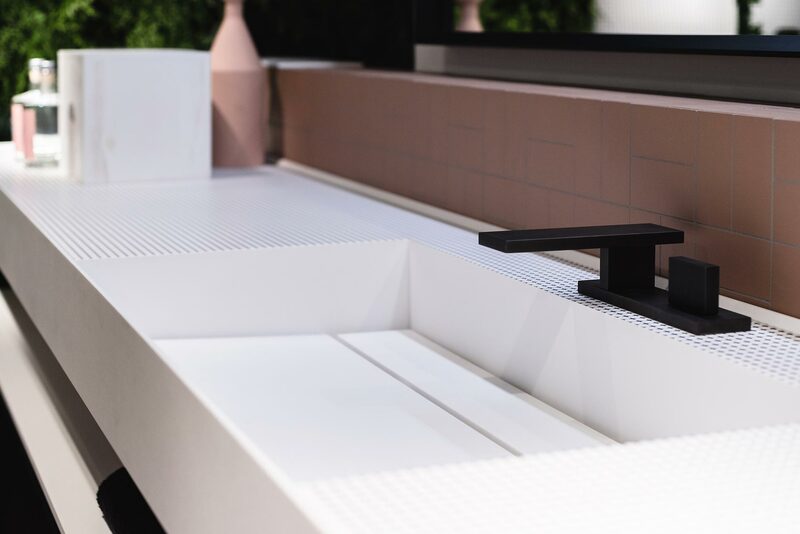 Cubik is the most architectonic line of Ideagroup, marked out by linearity and an extreme aesthetical rigour. 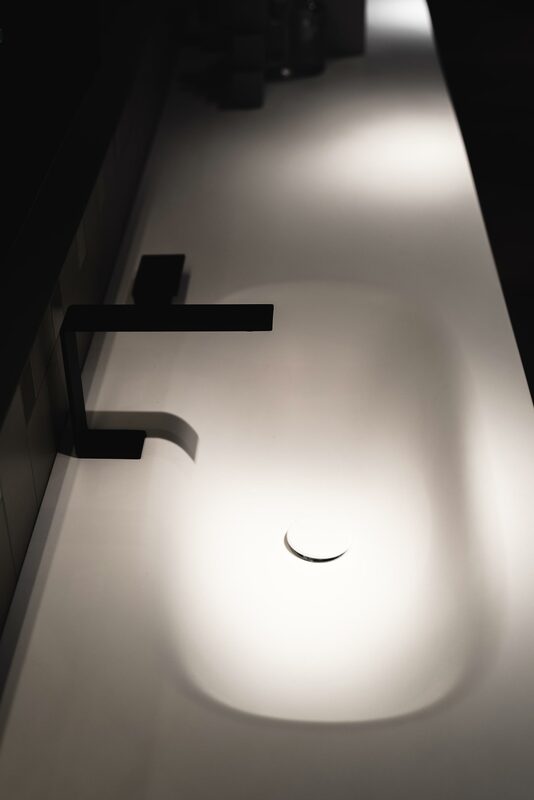 In this composition, the top is in Corian with geometrical texture, it hold an integrated basin, characteried by a strong rigour, perfect for the ones who look for the elegance of lines and love the details. 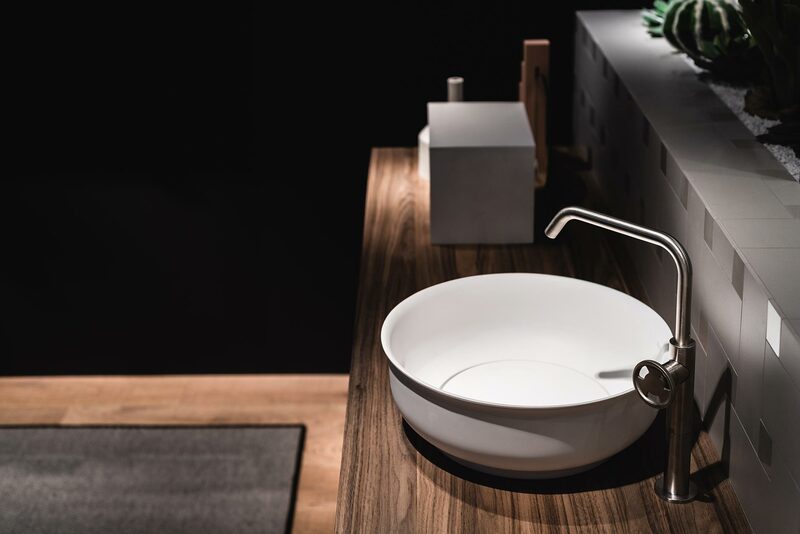 Dogma is the line that relates the industrial style with the research of luxury. 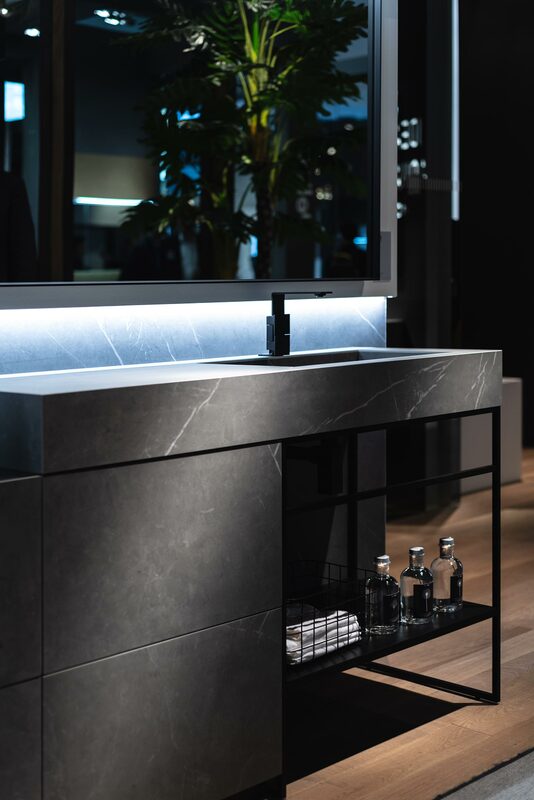 The possible combinations are numerous, starting from the modules of the piece of furniture to the finishing. 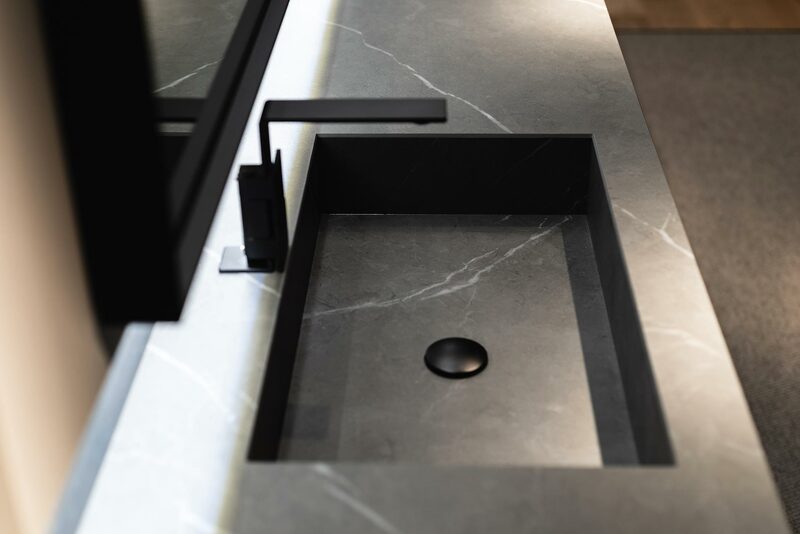 In this elegant marble-looking composition, Ideagroup shows a cabinet sink with integrated basin: observing carefully you’ll notice that the bottom of the basin is composed by four wedge, which allow to the water of flowing down and not to remain at the bottom. 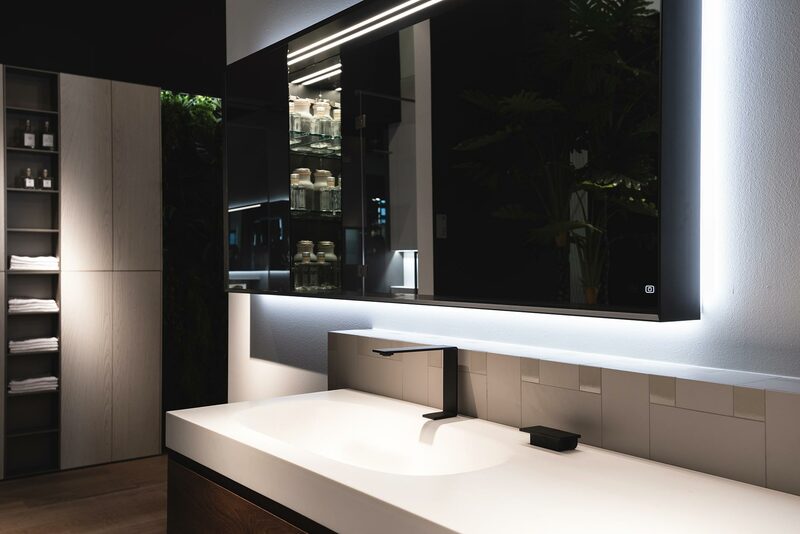 Still in the Cubik collection, Ideagroup suggests a version of the integrated lavabo made of aquatek, much softer to the view and to the touch. 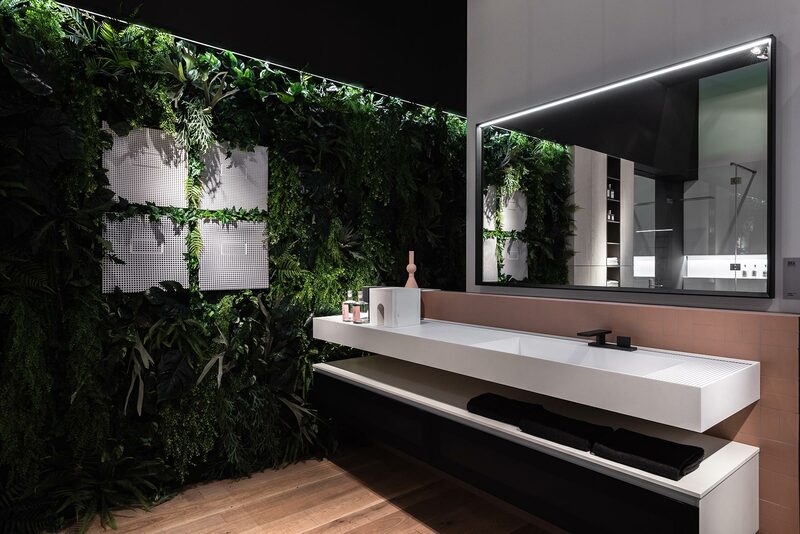 It’s suitable for the ones who are looking for the design, but who don’t want to renounce to the comfort of the natural lines. 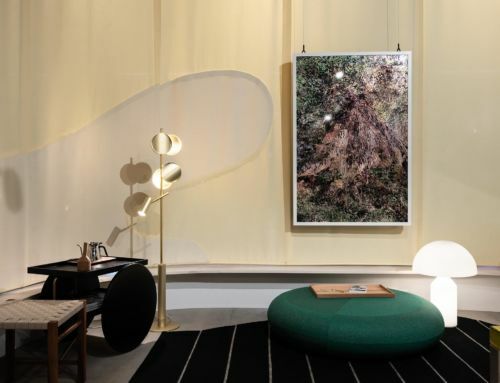 An impressive suggestion, which can be sinuous and delicate. 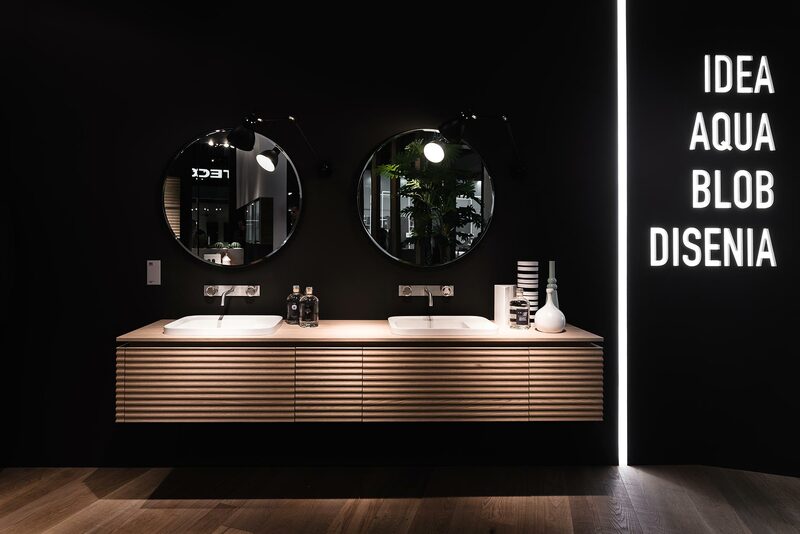 Are you designing your bathroom? Read some of my suggestions! 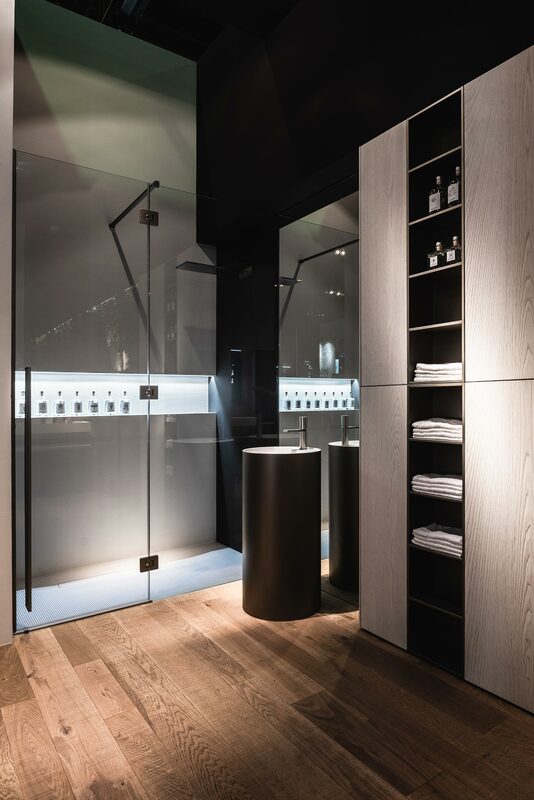 An interesting alternative, suitable to situations where the space is limited, is the freestanding lavabo. 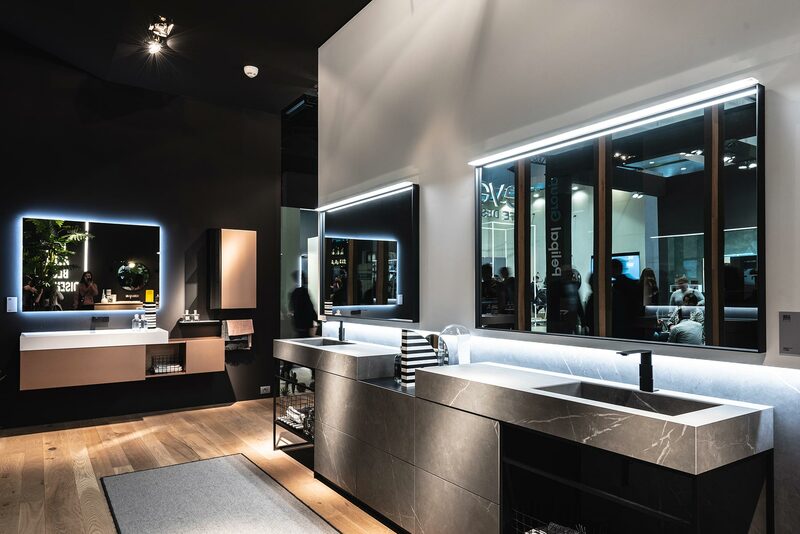 The suggestion by aquatek is in lacquered aquatek: the perfect solution for a coordinated bathroom. I started talking about the alternatives of the tabletop basin, but I coulnd’t not to show Form, a composition made with Nicole, the tabletop in Mineralsolid. 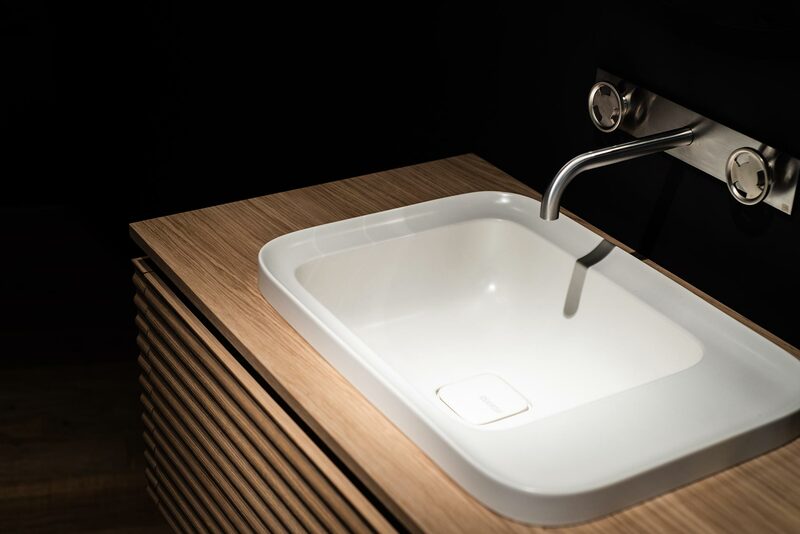 For sure, it’s an impressive solution, the tabletop basin strikes the eye, while emerging from the piece of furniture. Anyway, I hope you understood this is not the only solution.